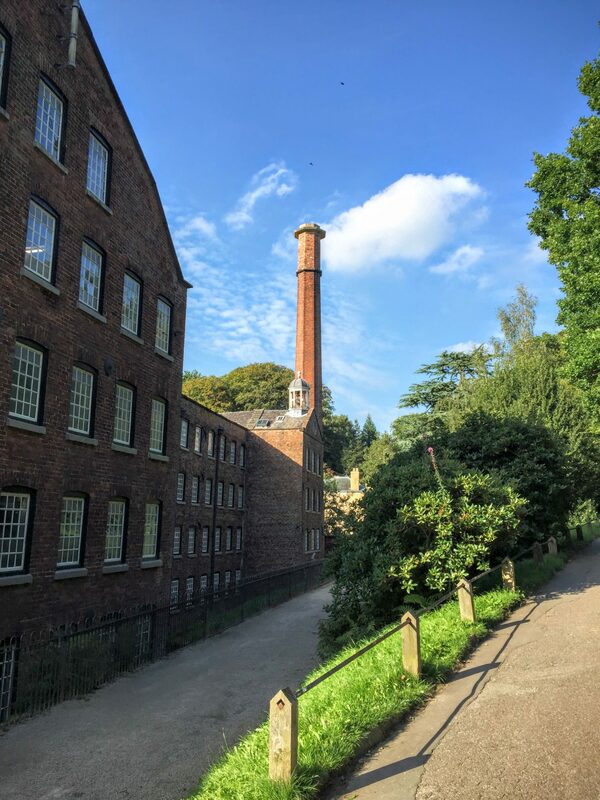 Quarry Bank Mill is one of the National Trust properties set in the lovely lush Styal Country Estate. 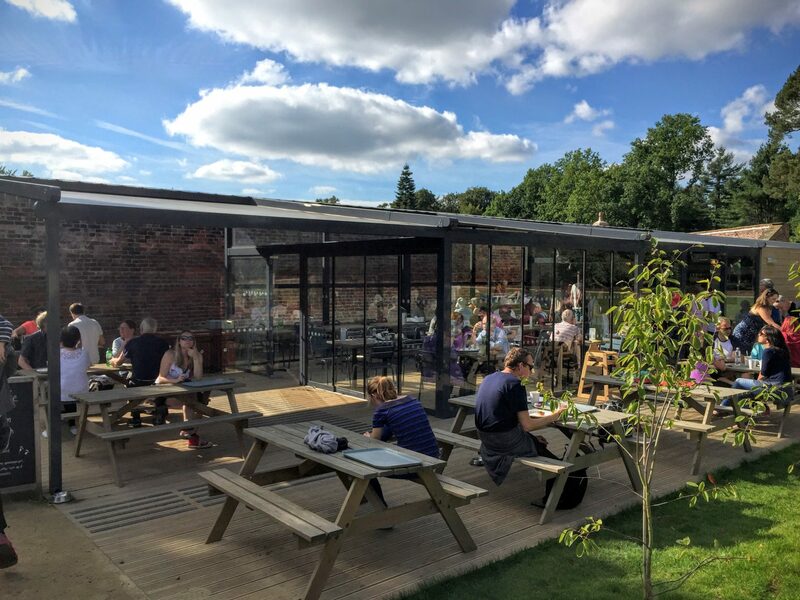 It is really close to Manchester Airport and not far from Wythenshawe, so makes for an excellent escape from the city when you need some greenery and exploring quickly and easily. 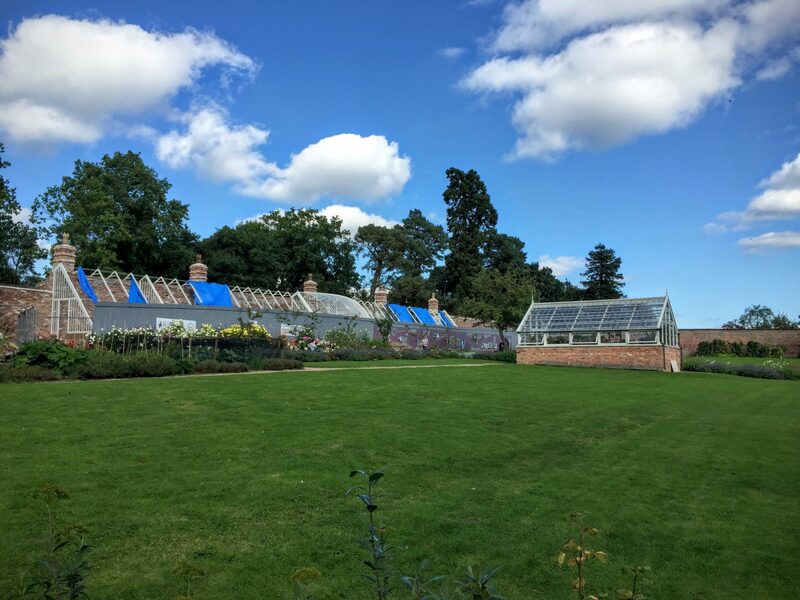 If you’re a member of the National Trust it is free to park and to see around the mill, the garden and the apprentice house. 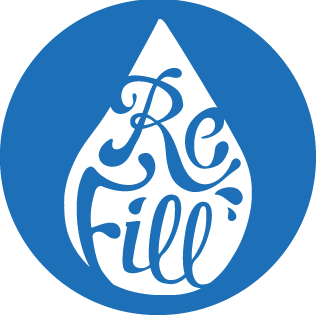 I would recommend joining if you live in Manchester, as there re so many nearby and it makes for a fun (and cheap) day out for the whole family! Plus, there are always accessible paths around at least some of each of the Trusts so you can bring people with mobility issues, buggies or wheelchairs too. 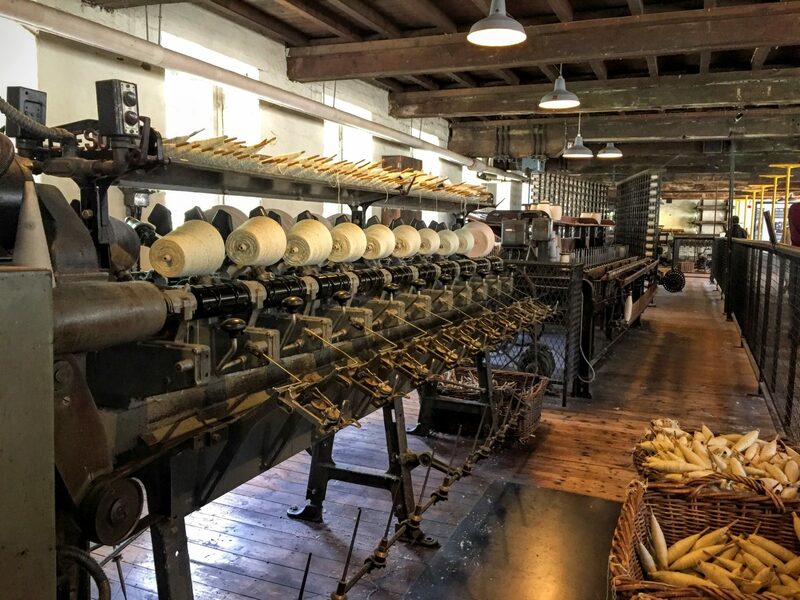 Quarry Bank Mill is one of our favourite ‘go to’ places as it is a swift drive in the car and with our membership we have the choice of what to visit. There is also a lot of country park around the Mill which is accessed through paths beside the property. We have taken a few of our borrow doggies around the estate and there is loads of space for ball chasing and swimming. We can also get a good few miles in too – as well as exploring Wilmslow! 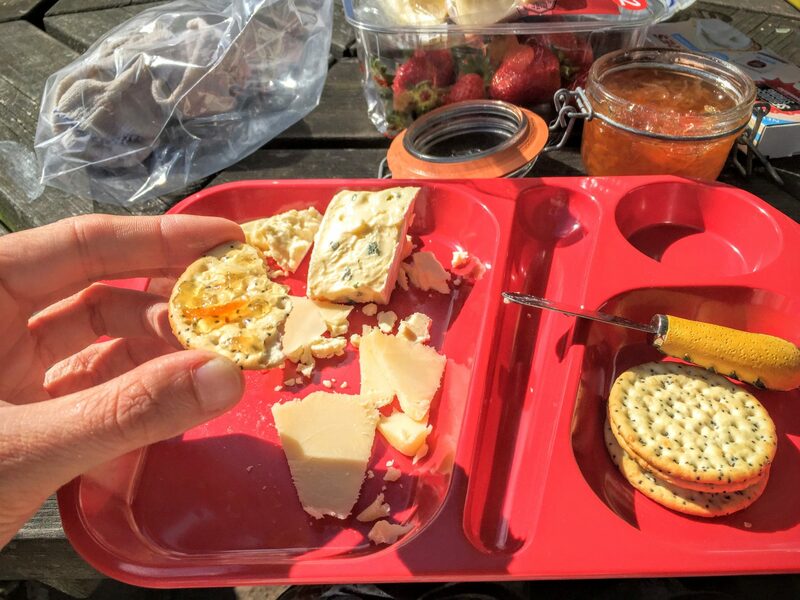 This time, we did it on the fly so our picnic was slightly random – our school dinner trays loaded with different cheeses and biscuits with my M&S copycat carrot marmalade. Perfectly delicious with a cup of tea, some strawberries to follow. It started the trip right anyway, even in its kind of disorganised state! After lunch, we shoved everything back into the car (the cloth in the bag in the picture above is my makeshift washing up kit, buy the way!) Leaving the rucksack meant that we would have to take things easier as we wouldn’t have our kit with us. Perfect for when you need a bit of rest time. We headed down the stairs to the ticket office, had our cards scanned and headed straight over to the gardens. They have been working on the gardens for some time, so we were excited to see what had changed since our last visit. 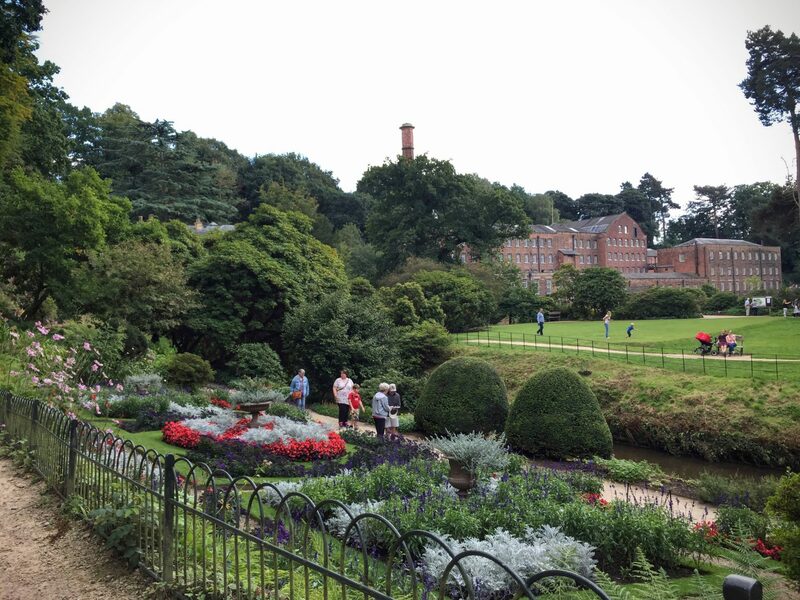 The garden at Quarry Bank Mill is absolutely lovely, having a large grassy area at both the bottom and the top with glorious perennial borders and trees curving up the hillside. The path can be steep at times, but there is usually a had rail and there are plenty of stopping places too. Whether you’re looking to scrub up on your plant names or to just enjoy the trees and the coloured flowers, there is something for everyone. There are usually some garden games to play in the garden too – great for the kids! We go for the nice wander though. The hills and people make sure that we slow down and take our time, which is useful for our ‘rest days’. Often, you can have the privilege of watching some dramatics up in this part of the garden. We have seen many groups practicing here, which is a nice interlude to exploring the garden. There was no such luck on this last visit, but we did have more than enough new things to see anyway. To our surprise, we discovered that there was a new cafe and small shop to the upper part of the garden. Previously everything was clustered in the lower part near to the Mill entrance, but now there were two areas for refreshment, relaxation and retail. I love the idea of the plant shop at the top as you already have the plants you want freshly in your mind – perfect for encouraging you to buy things. I’m not ready for some new plants yet though, but will be once the Eucalyptus in our garden has been tamed, so I’ll be back I’m sure. I loved the look of the new cafe too – especially the opening roof. I know that it is somewhere we would go for a bite to eat when we visit with my parents and sister. We were still too full of cheese though on this visit! With the sun shining, we thought it would be the perfect opportunity to see the mill while it was likely to be quiet. It wasn’t as quiet as we had expected, but it was still miles easier to look around and read the signs than when it is damp outside. The displays seemed to have been updated in parts – partly, it seems from some possible sponsorship from M&S and their Plan A campaign. This meant that we did get to see some fresh information and also learn more about the save trade that greatly formed part of the textile industry. 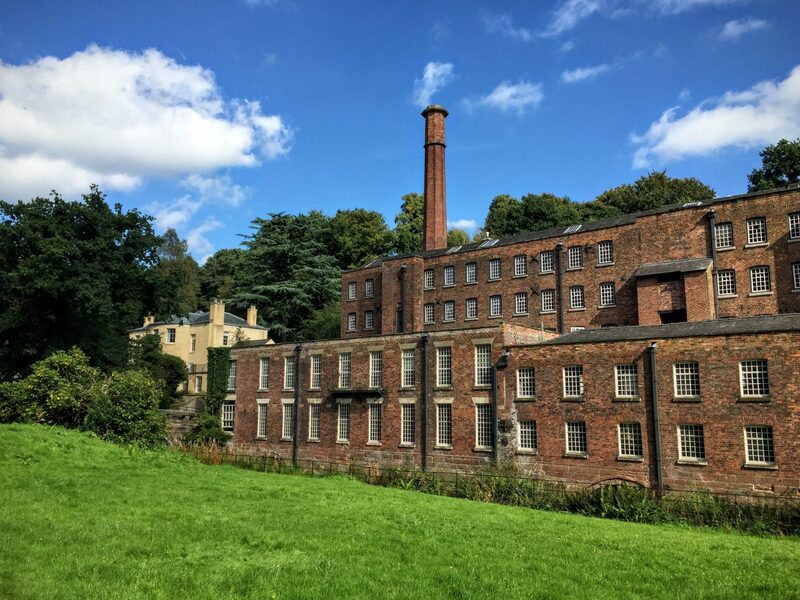 I have to say that pert of the reasons for our visit was to see the difference between Quarry Bank Mill and the Queen Street Textile Mill that we visited the day before. I have to say that although I very much enjoy Quarry Bank, there was much more history and heritage at the one in Burnley as well as easier access to see the workings of each of the machines. Saying that though, we did enjoy seeing the difference between the running. The mill is laid out well and the information takes you through the history and journey of its growth and development. It also sets the story about the apprentices who came to live and work at the mill. We booked to go on the tour of the Apprentice House and I would recommend that you do too, to experience more of what it was like to live there at the time of the working mill. Once we had seen the whole of the mill we set up the hill towards the Apprentice House. If you’re a bit unsteady on your feet or the hill is a bit of a challenge, there is a little National Trust golf buggy that can take the pressure off and ferry you up there! Its the little touches like that that help make the National Trust properties so good to visit for all of the family. We got to the gate with loads of time to spare (we thought it might take longer to get up the hill because we were remembering when Jit had to give me a piggy back when I was on crutches many moons ago!) We were glad to have that time though as the garden around the house is lovely to look around too. It is not huge, but there are lots going on. 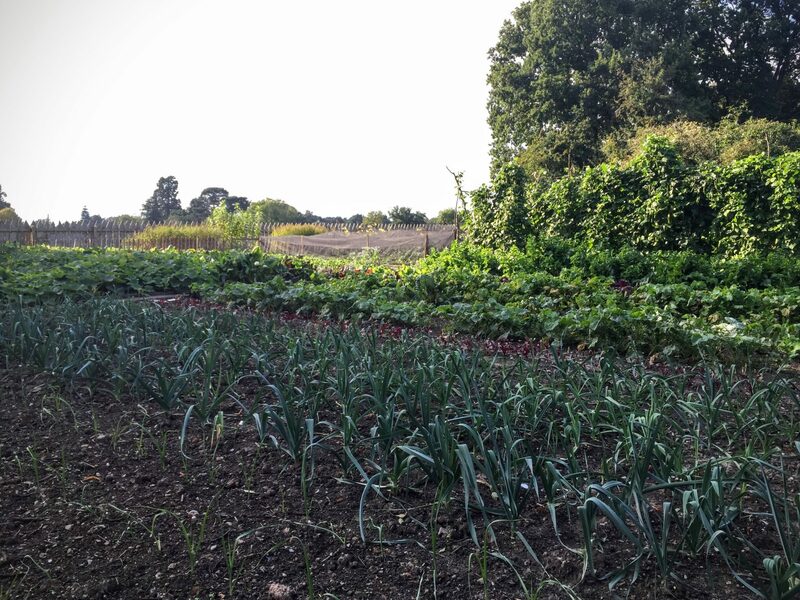 Veggies and fruit in abundance and a lovely pond where you can watch the insects playing. Within a short time the bell rang for us to take our place on the tour. I don’t know whether it was the weather or the time, but there was only us and another couple on the tour – perfect as it meant that we got to visit an extra room! By the time the tour was over, there was enough time to grab a final tea in the sunshine and then head towards home. I have to say that the highlights from this visit were certainly the glorious flowers in the garden and the visit to the Apprentice House. Having not been on the tour for many year, it is amazing how you forget about it. It is a sad, yet heartwarming, tale about the young apprentices and how what they had at Quarry Bank was ‘luxury’ in comparison to many work houses. I urge you to visit yourself to learn about it first-hand as the interpretation presenters do such an amazing job! 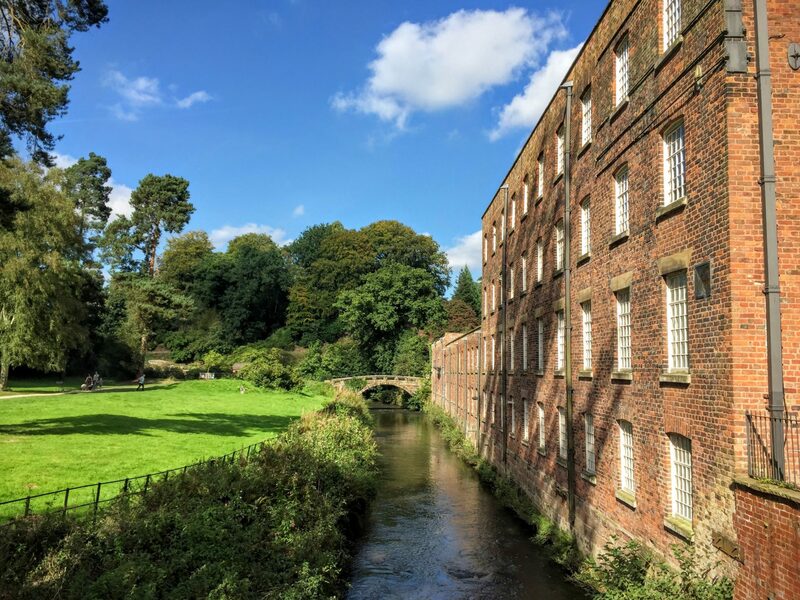 For a swift trip away from the city, Quarry Bank Mill has enough to keep you going in all-weather, with the mill, cafe, gardens and countryside. I would certainly recommend you make a trip over if you’re looking for something different to do and also, you never quite know what new knowledge you’ll leave with! I know it’s only Monday, but it is also a perfect time to plan your weekend adventures! Here’s to planning and dreaming the week away! Have you visited any National Trust properties? Which is your favourite? What do you think of the video? 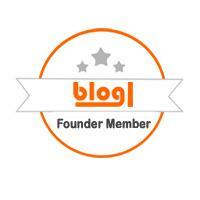 Would you like to see more on the blog?